Waste-to-biofuels company Enerkem is partnering with the Canadian city of Edmonton to build an $80 million plant that will consume 100,000 dry tonnes of municipal solid waste annually to produce 36 million liters of ethanol—and a further plant is in the works for Mississippi. 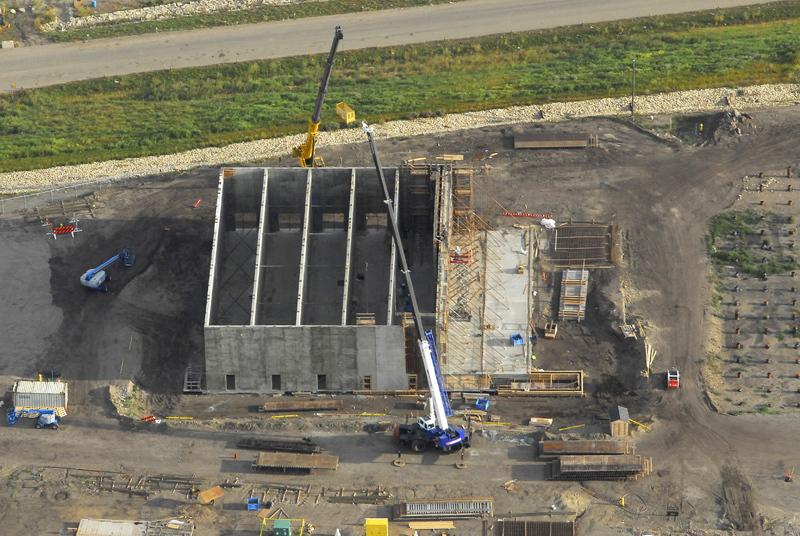 The Enerkem facility under construction in Edmonton is being touted as the world's first industrial-scale biofuels project to use municipal solid waste as feedstock. Futurists predicted that industry would one day use human garbage as a raw material, and one Canadian city is proving them right. The Canadian city of Edmonton's Cloverbar landfill will soon be home to an $80 million waste-to-biofuels plant. The plant is owned and will be operated by a company called Enerkem Alberta Biofuels, a subsidiary of Canadian-based clean technology company, Enerkem. The Edmonton facility is being touted as the world's first industrial-scale biofuels project to use municipal solid waste as feedstock. A similar project is under development in Pontotoc, Mississippi. The environmental dividend of this plant extends far beyond the production of biofuels. Once operational, production at the biofuels plant will raise the diversion rate of residential garbage for this city of nearly 800,000 people from 60 to 90 percent. 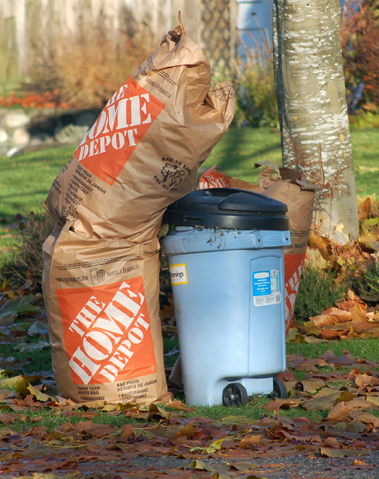 In other words, only 10 percent of the waste arriving at the landfill in garbage bags will actually be landfilled. The feedstock that will be used by the biofuels plant will consist of non-recyclable plastics and non-recyclable biomass, which represents a major breakthrough in the disposal of these types of residential garbage. Finally, by taking the waste-to-biofuels route versus transporting and landfilling the residential waste, it's expected that greenhouse gases from the handling and disposal of this waste will be reduced by at least 60 percent. The Cloverbar landfill site, called the Edmonton Waste Management Centre, is a bustling industrial cluster with a variety of well-organized sorting, recycling, and composting activities. Except for the unmistakable and familiar odor of a traditional garbage dump, it might resemble many other industry centers located throughout North America. In addition to the future waste-to-biofuels plant, the Cloverbar site also houses North America's largest composting facility, about the size of 14 NHL-size hockey rinks. But the crown jewel in the city's decades-long quest to minimize landfilling of residential garbage is the Enerkem biofuels plant currently under construction. It is expected to be in operation by 2012. In the space of 17 years, a total of $320 million will have been spent on the site by the City of Edmonton, the Province of Alberta, and various private partners, including Enerkem. Established in 2000 and head-quartered in Montreal, Quebec, Enerkem is a waste-to-biofuels and chemicals company. It has commercialized its proprietary thermochemical technology initially conceived through research at the University of Sherbrooke in Quebec, and developed and piloted in-house at Enerkem. It converts municipal solid waste first into a syngas, then to methanol, and then into a variety of marketable chemicals and products. Energy Corporation are among its major investors Edmonton actually chose Enerkem for its waste-to-biofuels technology nearly a decade ago. "We felt that their technology was flexible enough to deal with municipal solid waste," says Bud Latta, the City of Edmonton's director of processing and disposal in its waste management services division. Enerkem's technology was also primed for commercialization. Since 2003, the company has operated a pilot plant in Sherbrooke capable of processing 4.8 tonnes of waste material per day. It has tested over 25 different types of potential feedstocks at this facility as part of its waste-to-biofuels research and development. It is also operating a commercial demonstration plant in Westbury, Quebec, able to produce five million liters of ethanol per year from treated wood. By taking the waste-to-biofuels route versus transporting and landfilling waste, it's expected that the city of Edmonton will be able to reduce greenhouse gases by at least 60 percent from the handling and disposal of this waste. Lynch says the company was ready to build a commercial plant and is now doing so in Edmonton. There were a number of locations in North America under consideration. Enerkem had to be selective about where it made its initial commercial investments, given the considerable interest that its technology has attracted. There are approximately 300 landfill locations in the United States that currently process sufficient volumes of municipal solid waste per year to support full commercial scale Enerkem modules. Ultimately, the $29 million that the province of Alberta (through Alberta Innovates Energy and Environmental Services (AIEES) and Alberta Energy) committed toward the waste-to-biofuels plant helped to make the project economically viable. Enerkem's facility in Edmonton represents the template that the company will use to build its modular facilities elsewhere. It is also developing a similar facility in Pontotoc, Mississippi. As part of its agreement with Enerkem, the City of Edmonton has developed the capability at the waste management facility to produce the feedstock needed by the waste-to-biofuels plant. It consists of non-recyclable, non-compostable, and non-marketable material called ‘fluff' that will be transported to the Enerkem facility for processing. Enerkem plans a two-phase development to produce and market first methanol and then cellulosic ethanol. Once the plant is fully developed, it will consume about 100,000 dry tonnes of municipal solid waste annually to produce 36 million liters of ethanol. It has a 25-year feedstock supply agreement with the City of Edmonton. Edmonton actually initiated the concept of installing a waste-to-biofuels plant at the landfill about 10 years ago because the Cloverbar site was rapidly reaching its maximum holding capacity, and the city was not able to develop a new landfill site. The best prospect was a landfill site about an hour outside the city. A study compared the cost of transporting the residential garbage to the new landfill or preparing the waste fluff Enerkem needed at its current site. The costs were comparable. "It was a wash in economics for us," says Jim Schubert, general supervisor in the conversion technologies branch of the City of Edmonton's waste management services department. He adds that the Edmonton location is unique in North America because all of the facilities needed to supply the waste-to-biofuels plant are located on one site. "It truly is an integrated site." Biofuels production starts with the city-owned and operated Integrated Processing and Transfer Facility (IPTF). This is where the bagged residential garbage arrives and is channeled into a variety of processing streams—either recycling, composting, or production of fluff for biofuels. Once the non-recyclable and non-compostable material is separated, it is first shredded. Then it is screened and classified, meaning that material such as glass, stones, and ferrous and non-ferrous metals are removed. The remaining material is shredded again so that all the feedstock is reduced to less than two inches in diameter. According to Schubert, it is the city's responsibility to provide Enerkem with a homogenous material that meets their requirement for size, heat value, and moisture content. 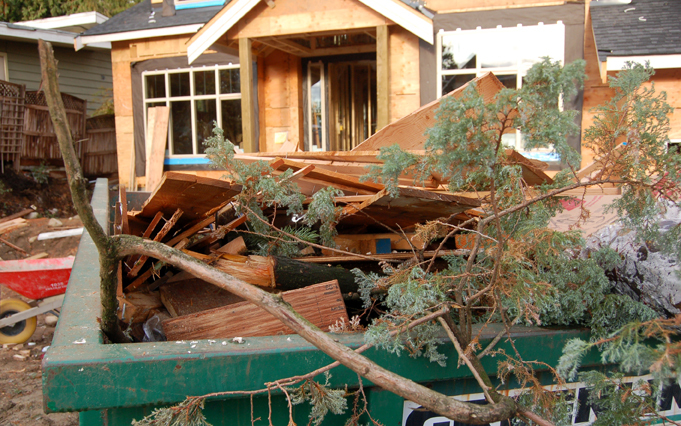 The waste fluff will be plastic, non-recyclable paper, textiles, and wood waste. Once the plant is fully developed, it will consume about 100,000 dry tonnes of municipal solid waste annually to produce 36 million liters of ethanol. It has a 25-year feedstock supply agreement with the City of Edmonton. The Enerkem process to convert municipal solid waste into ethanol can generally be described in two steps—thermal gasification and catalytic reformation. Lynch says the company has taken a modular approach to the design of its process, using third parties to prefabricate and replicate individual modules. By taking this approach, the company can implement its technology more easily at various locations. The feedstock is fed into a bubbling fluidized bed gasifier, which operates at ‘low severity' or temperatures below 750 degrees Celsius and five atmospheres pressure. This process accomplishes conversion of carbon-rich residues into synthetic gas consisting primarily of carbon monoxide and hydrogen. Enerkem then uses its gas cleaning and conditioning process for separation and production of a syngas as clean as natural gas. It is at this point that the company engages the catalytic reformation process to produce commercial grade methanol, with the intention of installing other commercially available catalysts to take the methanol a step further to produce ethanol and other chemicals used in the production of a variety of everyday commercial products. Lynch says being dependent on Edmonton's ability to sort and pre-process the municipal solid waste to create the required feedstock won't limit the proliferation of the company's technology. He says Enerkem could have the capability to set up its own processing facility as well as raw material pre-processing functions at future locations. The inert residue produced by the waste-to-biofuels plant is part of the 10 percent that will still require landfilling, but Enerkem is already negotiating with other companies who may find a use for the material, which would bring the total residential municipal solid waste diversion rate close to 100 percent. major reason why the Alberta government agreed to support the waste-to-biofuels project. Schubert says it will allow the City and the Province to experiment with other waste feedstocks and expand the province's knowledge related to the production of biofuels and bio-chemicals.